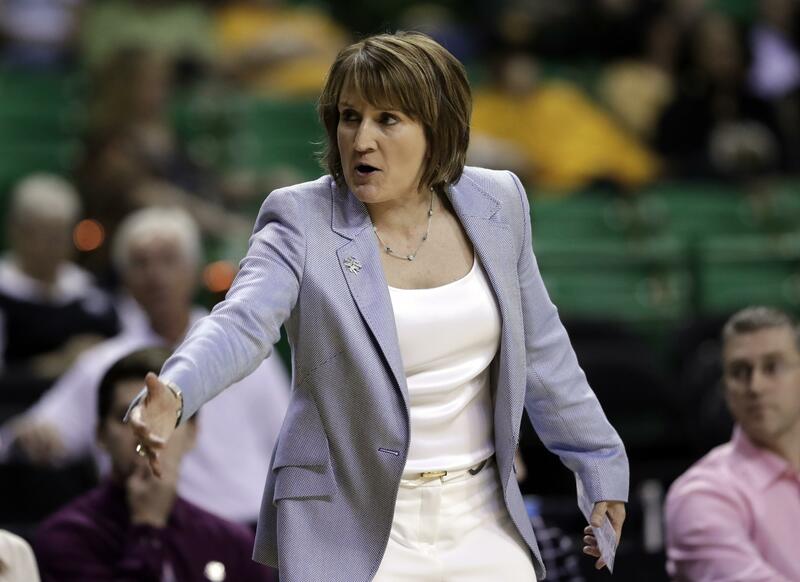 UPDATED: Sun., April 15, 2018, 8:11 p.m.
Northern Colorado’s Kamie Ethridge, one of the most decorated women’s basketball players in the country and a Division I coach for the past 27 years, was named Sunday to lead the struggling Washington State women’s program. Ethridge has been part of a winning culture since her college days at Texas, where she helped lead the Longhorns to an NCAA title and and undefeated season in 1986. Two years later in Seoul, South Korea, the 5-foot-5 point guard won an Olympic gold medal with the United States. She was named to the Women’s Basketball Hall of Fame in 2002. The 53-year-old Ethridge replaces June Daugherty, dismissed last month after 11 seasons. So competitive that she once competed in a triathlon and rode the last three miles of the bicycle leg on a flat tire, Ethridge also won gold at the FIBA World Championships, World University Games and Pan American Games. After graduation, Ethridge worked as Texas for one year as a graduate assistant, then followed with a two-year stint at Northern Illinois. An assistant at Vanderbilt from 1991-96, she helped the Commodores reach the Sweet 16 all five seasons, including a Final Four run in 1992-93. While at Vandy, Ethridge played a major role in recruiting five high school Kodak All-Americans and 13 Gatorade State Players of the Year. Ethridge spent 18 seasons (1996-2014) as an assistant coach at Kansas State, where she was part of a staff that took teams to nine NCAA Tournaments, four WNIT Tournaments (including winning the 2006 WNIT championship), and two Big 12 championships. The Wildcats advanced to six Sweet 16s while totaling a record of 350-226. In her first head-coaching stint, Ethridge spent the past four seasons at Northern Colorado, posting three 20-plus win seasons, including a school-record 26 wins en route to being named Big Sky Coach of the Year this season. She led UNC to a then-school-record 22 wins in her first season before topping that mark in 2018. This year’s UNC squad, which lost to Michigan in the first round of the NCAA Tournament, ranked among the best in Big Sky history, finishing 26-6 with a 32 ranking in the RPI and wins over NCAA Tournament teams DePaul and LSU. Can she do the same at WSU, which had just one winning season under Daugherty? Published: April 15, 2018, 4:52 p.m. Updated: April 15, 2018, 8:11 p.m.